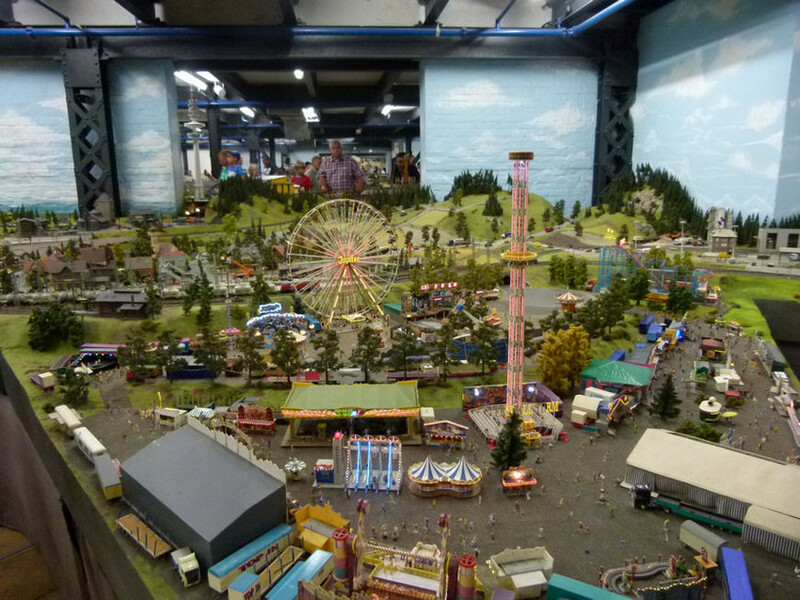 At Miniatur Wunderland. Press a button, and many of the rides, or other parts of the fair spring to life, or work. For example, the ferris wheel rotates, and the vertical ride goes up/down. Added to the photo archive by Adrian Brodie, April 30, 2014.